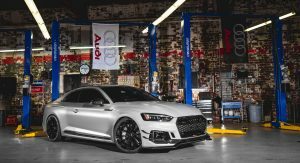 ABT Sportsline is bringing a couple of tuned cars to this year’s SEMA Show in Las Vegas, which begins today. 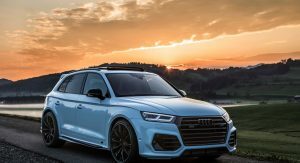 The first one is the Audi SQ5, baptized Widebody by the tuning company. 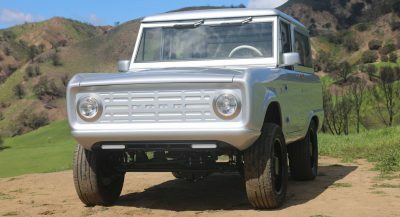 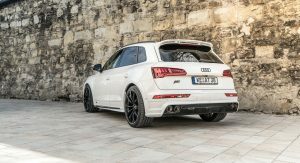 The SUV sports an aerodynamic kit comprising a front skirt, door strip attachments, rear skirt and fender flares. 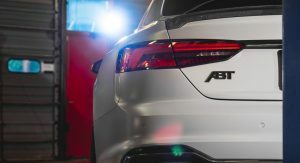 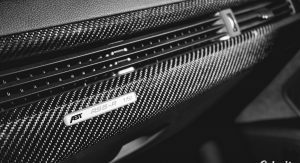 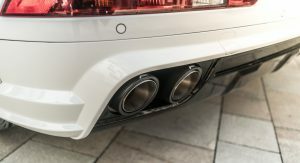 Additionally, ABT has fitted a new exhaust system with carbon fiber tailpipes, or black chrome ones in the case of the regular Q5, while customers can have the rear wing mounted as an option. 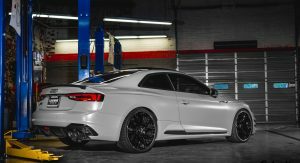 This particular car is also wearing Vossen Hybrid Forged HF-3 wheels, with a Tinted Gloss Black finish, measuring 10.5×22 inches. 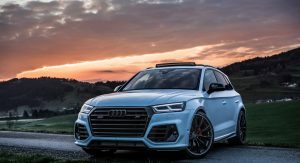 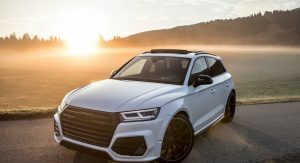 The final upgrade for the Audi SQ5 is a power boost that lifts the output of the stock engine from 349 hp (354 PS / 260 kW) and 369 lb-ft (500 Nm) of torque, to 419 hp (425 PS / 313 kW) and 406 lb-ft (550 Nm) of torque. 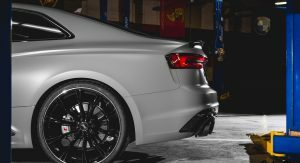 Made in just 50 units worldwide, the ABT RS5-R will join the SQ5 at SEMA, at the Thule booth. 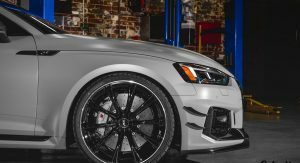 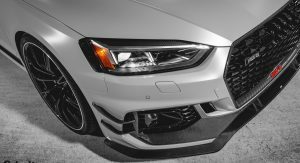 It has a Matte Nardo Grey look, features carbon fiber exterior parts such as the front lip, flics, grille frame, side blades, wheel arch vents, fins and rear skirt insert. 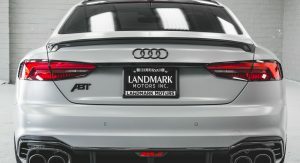 The upgrades continue with the 4-innch (102 mm) carbon fiber exhaust bezels, ABT’s muffler system that amplifies the soundtrack of the V6 engine, 21-inch black GR rims, and height adjustable suspension springs and anti-roll bars, or coilover suspension. 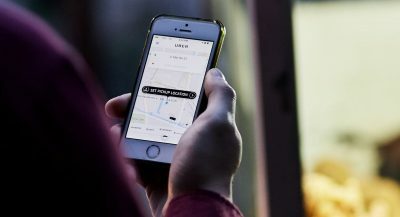 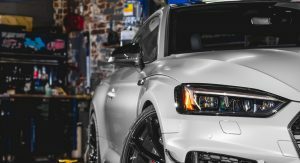 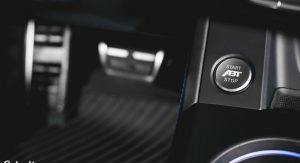 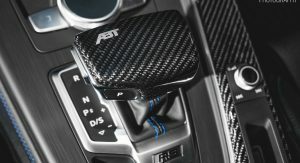 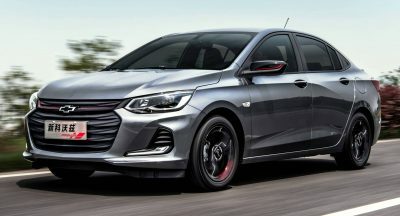 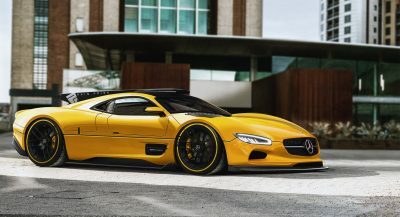 Rounding up the list of modifications is the ECU-tune, which increases output to 503 PS (510 PS / 375 kW) and 502 lb-ft (680 Nm) of torque, up from the stock 444 hp (450 PS / 331 kW) and 443 lb-ft (600 Nm). 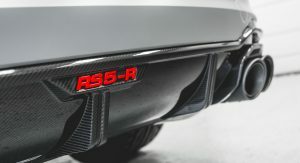 Am I the only one who thinks the red RS5-R badge on the rear is not level?